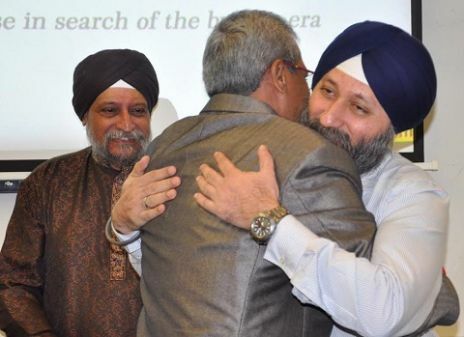 One of the core values of Sikh Youth Australia is its dedication to promoting a greater understanding and awareness of Sikh culture, identity and heritage. Since its establishment in 1999, Sikh Youth Australia has been involved in a number of different projects and events highlighting the importance of Sikh culture and identity. 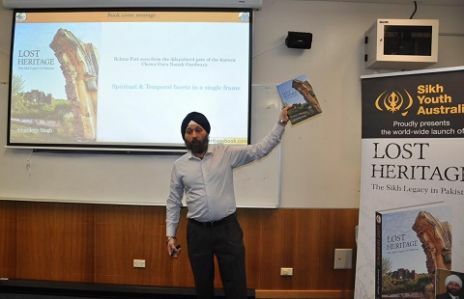 This commitment to the preservation of Sikh heritage was once again highlighted at Sikh Youth Australia’s 18th Annual Summer Camp with the launch of Amardeep Singh’s book “Lost Heritage: The Sikh Legacy in Pakistan” on Saturday 9th January 2016 at the Department of Sport & Recreation, Narrabeen. The event was a great success, with the book being officially launched by Pakistan’s Defence Attaché, Brigadier Muhammad Asghar, on behalf of the Pakistan High Commissioner. The heartfelt words he shared to launch the book were inspiring and reassuring and the Government of Pakistan must be commended on their efforts to protect and preserve the remains of the Sikh Empire in Pakistan. The book was tremendously well received by all those in attendance, with over 120 supporters from both the Indian and Pakistani communities in Sydney. Also in attendance were representatives from the Indian High Commission and leaders of the Sikh Community. The journey of this book began when Singapore based Amardeep Singh put his corporate life on hold after serving 25 years to fulfil his dream of seeing, touching and collecting the soil of his Father’s home in Muzaffarabad. With a camera in hand and the warmth and support of the people of Pakistan that guided him on his journey, he returned without a single grain of soil, but instead with documented and photographic findings that would soon turn into a book on the Sikh Empire for the world to share. Like many students of history, Amardeep Singh found it disheartening to learn of the absence of Sikh history in both Pakistani and Indian textbooks, and his book takes the first step towards resuscitating the rich history left behind of the Sikh Empire. Amardeep Singh’s book “Lost Heritage: The Sikh Legacy in Pakistan” weighs in at close to 3kg, and with its 504 pages, 507 pictures, 14 maps and over 50,000 words, currently stands as the only comprehensive historical record of our Sikh History in Pakistan.